Seaside Accents and Vases in Vivid Colors! It is in the accent details that the character of a room is developed in your design. You can find vases, colorful glass floats, containers, temple jars, bowls, and coastal accents to give your design dimension. Can't find what you need? Let us help you bring your room or design together. Antique TrayPacific Home Furniture’s Antique Wooden Rectangular Tray is the perfect decor .. Wooden TrayPacific Home Furniture’s Antique Wooden Square Tray is the perfect decor for an..
Blue And White Marbleized Temple Jar The B&W Marbleized Temple Jar h..
Blue And White Octagonal Window Temple Jar The Blue &White Octagonal Window&nb..
Floral Double Gourd Vase In the ancient Chinese tradition of pottery, the double g..
Blue Coral Home Decor Accent This lovely blue coral decor accent piece will ..
Lovely Blue Pottery accent brings a timeless treasure to any room. 16"W ..
Lovely Ceramic Blue Vase- Pacific Home Furniture’s Blue Vase accent is a per..
Celadon Carved Pear Vase This beautifully detailed pear vase in a striking celadon colo..
Celadon Lotus Porcelain Temple Jar The Celadon Crackle Temple Jar has&nb..
Celadon Lotus Porcelain Temple Jar The Celadon Lotus Temple Jar has ..
Lovely Ceramic Accent Platter Pacific Home Furniture’s ceramic pla.. Beautifully Designed Three Handle Vase In Two Color Options-This ceramic vase from Pac..
Beautiful Crystal Shell Double Gourd Vase In the ancient Chinese tradition of pott.. Crystal Shell Temple Jar The Crystal Shell Temple Jar has a tr..
Classic Blue Temple JarThe Cyan Blue Temple Jar has a truly elegant sha..
Coastal Driftwood AccentThe pineapple is the universal symbol for hospitality. 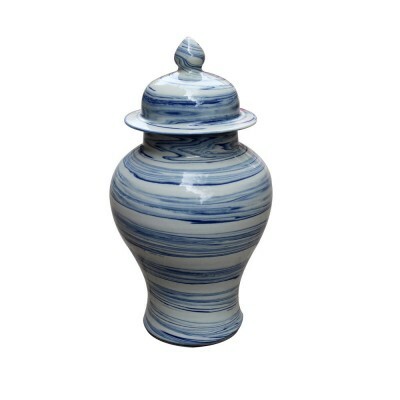 This replica..
Classic Icy Blue Temple JarThe Icy Blue Temple Jar has a truly elegant ..
Indigo Blue Circle Temple Jar The Indigo Blue Circle Temple Jar has..
Driftwood Accent Home DecorThis home accent replica of the popular angel fish is handcrafte.. Unique Design-Temple Jar The Peacock LotusTemple Jar has a truly el..
Pineapple Accent Piece You will love the details of this exquisitely designed accent pi..
Home Décor Pottery Accent Vase. Pacific Home Furniture’s pottery acce..
Pottery Accent Piece This timeless Pottery accent piece from Pacific Home Fur..
Glazed Porcelain Plum Vase This exquisite accent piece would make a great foc..
Red Coral Home Decor Accent This lovely red coral decor accent piece will br..
Stoneware Pottery Accents This unique stoneware accent piece can be used in v.. Distinct And Unique Carved White Temple Jar The White Carved Knot Temple Jar ..
White Pottery Beautifully finished white accent jar has plenty of details and..
Lovely Red Coral Accent Vase. Decorate coastal style with this classic white vase accen..
White Pottery Jar This white pottery accent piece will add a finished look to an entry ..
Classic White Temple Jar The White Temple Jar has a truly eleg..
Coastal Coral White Temple Jar The White & Red CoralTemple Jar has a..